Gov. 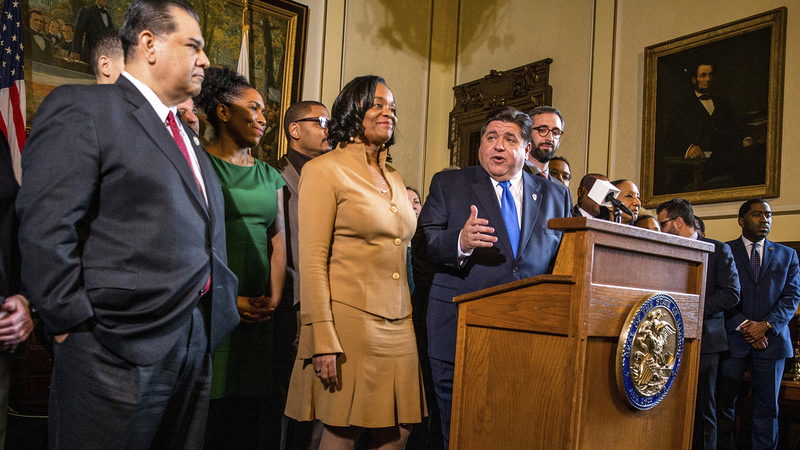 J.B. Pritzker, who in his third week in office has reveled in reversing four years of his Republican predecessor’s conservative policies, lauded the Senate’s 39-18 party-line action to gradually raise the pay for low-income workers. Although Chicago in 2014 imposed its own wage minimum, which increases to $13 this year, the last statewide bump came in 2010. At $8.25 per hour, Illinois is $1 higher than the federal minimum wage, according to the National Conference of State Legislatures. While 16 states are at the federal level or lower — including Pennsylvania and Texas — states such as California, Washington, New York, Maine and Arizona are at $11 or more with increases scheduled in a dozen states. The legislation attempts to soften the cost-increase landing with the phased-in approach, which businesses say is still too quick. There’s also an employer withholding-tax credit for businesses with 50 or fewer workers, which begins at 25 percent and drops until only the smallest businesses can still use it after 2025.